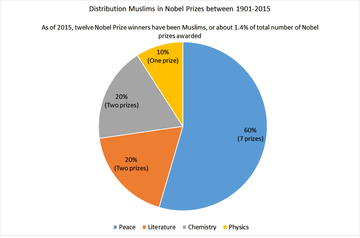 Distribution of Muslims in Nobel Prizes between 1901–2015: twelve Nobel Prize laureates have been Muslims or a total of 1.4% of all Nobel prizes. 2003 Shirin Ebadi (b. 1947) Iranian Human Rights Activist The 2003 Nobel Peace Prize was awarded to Ebadi "for her efforts for democracy and human rights. She has focused especially on the struggle for the rights of women and children". The first and only Iranian to receive a Nobel Prize. She was also the first Muslim woman to receive such an honor. Note that Doris Lessing born and raised for 5 years in modern day Iran is a fellow laureate. 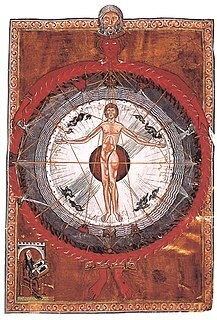 Mysticism is the practice of religious ecstasies, together with whatever ideologies, ethics, rites, myths, legends, and magic may be related to them. It may also refer to the attainment of insight in ultimate or hidden truths, and to human transformation supported by various practices and experiences. The University of Lethbridge is a publicly funded comprehensive academic and research university, founded in the liberal education tradition, located in Lethbridge, Alberta, Canada, with a second campus in the city of Calgary, Alberta. The main building, University Hall, sits among the coulees on the west side of the Oldman River. Sadat, Anwar (1978). In Search of Identity: An Autobiography. New York: Harper & Row. ISBN 978-0060137427. Ahmed Hassan Zewail was an Egyptian-American scientist, known as the "father of femtochemistry". He was awarded the 1999 Nobel Prize in Chemistry for his work on femtochemistry and became the first Egyptian to win a Nobel Prize in a scientific field. He was the Linus Pauling Chair Professor of Chemistry, Professor of Physics, and the director of the Physical Biology Center for Ultrafast Science and Technology at the California Institute of Technology. Ferit Orhan Pamuk is a Turkish novelist, screenwriter, academic and recipient of the 2006 Nobel Prize in Literature. One of Turkey's most prominent novelists, his work has sold over thirteen million books in sixty-three languages, making him the country's best-selling writer. Sana'a University was established in 1970 as the first and the primary university in the Yemen Arab Republic, now the Republic of Yemen. It is located in Sana'a, the capital of Yemen, and is currently organized with 17 faculties. Previously the university was located at 15°20′53.16″N44°11′26.83″E, and was built on the grounds of the old Jewish cemetery. Erdağ Göknar is a Turkish-American scholar, literary translator and poet. He is Associate Professor of Turkish and Middle Eastern Studies at Duke University and Director of the Duke University Middle East Studies Center. The 2003 Nobel Peace Prize was awarded to Shirin Ebadi for "her efforts for democracy and human rights, especially the rights of women and children, in Iran and the Muslim world in general". Dawn Engle is the co-founder and former executive director of the non-profit organization, the PeaceJam Foundation. The PeaceJam program was launched in February 1996 by co-founders Dawn Engle and Ivan Suvanjieff to provide the Nobel Peace Prize Laureates with a programmatic vehicle to use in working together to teach youth the art of peace. To date, 14 Nobel Peace Laureates, including the Dalai Lama, Archbishop Desmond Tutu, Rigoberta Menchú Tum, President Oscar Arias, Adolfo Pérez Esquivel, Mairead Corrigan Maguire, Betty Williams, President José Ramos-Horta, Tawakkol Karman, Sir Joseph Rotblat (Emeritus), Leymah Gbowee, Jody Williams, Kailash Satyarthi, and Shirin Ebadi, serve as members of the PeaceJam Foundation. To date, over one million young people from 40 countries around the world have participated in the year long, award-winning PeaceJam curricular program. Engle and her husband Ivan Suvanjieff have been nominated for the Nobel Peace Prize seventeen times, and they were leading contenders for the 2015 Nobel Peace Prize. Engle is the co-director of multiple documentaries, including PEACEJAM, and co-author of the book, PeaceJam: A Billion Simple Acts of Peace that was published by Penguin in 2008. She has also directed the award-winning documentary films, Children of the Light,Rivers of Hope, Daughter of the Maya, and Without A Shot Fired which are the first four films in PeaceJam's Nobel Legacy Film Series. 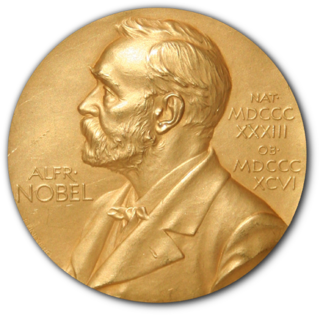 The year of receiving Nobel Prize is given after each Nobel Laureate in this article. For verification of candidacy of above listed Nobel Laureates, please go to nobelprize.org,  and search the corresponding year of reception of Nobel Prize in the respective field. ↑ "The Nobel Peace Prize 1978", Nobel Foundation, retrieved March 24, 2012. ↑ 'Answer.com' article on Anwar al-Sadat, retrieved March 24, 2012. ↑ 'Nobel Lecture, December 10, 1978' by Anwar Sadat, Nobel Foundation,retrieved April 5, 2012. ↑ "Archived copy". Archived from the original on 2012-01-19. Retrieved 2012-04-07. CS1 maint: Archived copy as title (link)"The Islamization Of Egypt" by Adel Guindy,retrieved April 7, 2012. ↑ "Anwar Al-Sadat, The First Islamist Ruler In Egypt's Modern History", Coptic Nationalism, posted March 30, 2012, retrieved April 7, 2012. "The Pope must understand that I am a Muslim President of a Muslim State"
↑ Peacemaker hero Anwar al-Sadat by Youssef, 'The My Hero Project', accessed March 21, 2012. "Sadat was a devout Muslim from his early days, benefiting from an Islamic education"
↑ 'Yasser Arafat-Biography', Nobel Foundation, retrieved April 5, 20122. ↑ "The Nobel Peace Prize 1994", Nobel Foundation, retrieved March 24, 2012. ↑ "Yasser Arafat – Biographical". nobelprize.org. ↑ "Yasser Arafat-Nobel Lecture", Nobel Foundation, retrieved April 5, 2012. ↑ "Archived copy". Archived from the original on 2012-07-21. Retrieved 2012-04-04. CS1 maint: Archived copy as title (link)'The Muslim Arafat',retrieved April 5, 2012. ↑ Jewish Virtual Library, accessed March 24, 2012. ↑ "The Nobel Peace Prize 2003", Nobel Foundation, retrieved March 24, 2012. 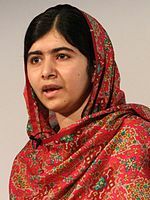 ↑ "Nobel Peace Prize winner promotes her new book The Golden Cage", by Jasmine Gould, 'Connect2Mason',dated April 26, 2011, retrieved April 4, 2012. "The first Iranian and Muslim woman to win the Nobel Peace Prize for her work in human rights"
↑ "Shirin Ebadi – Iran 2003", 'Meet the Laureates', Nobel Women's Initiative, accessed April 4, 2012. "She is the first Muslim woman to receive the Nobel Peace Prize"
↑ "In the name of the God of Creation and Wisdom", Nobel Lecture by Shirin Ebadi, Oslo, December 10, 2003, Nobel Foundation, retrieved April 4, 2012. ↑ "Shirin Ebadi: A Conscious Muslim" by Diana Hayworth, accessed March 24, 2012. "For some, Ms. Ebadi is a source of inspiration and pride, as she is the first Muslim woman and only Iranian to receive the Nobel Peace Prize." ↑ "The Nobel Peace Prize 2005", Nobel Foundation, retrieved March 24, 2012. ↑ "Mohamed El-Baradei-Biography", Nobel Foundation, retrieved April 5, 2012. ↑ "Outgoing IAEA chief leaves complex legacy",Jahn, George (30 November 2009), Associated Press, accessed 5 February 2011 on msnbc.com. ↑ "NNDB article on Mohamed El Baradei", retrieved March 24, 2012.'Muslim'. ↑ "Muslim Contribution to World Peace" by Minhaj Qidwai, accessed March 21, 2012. "Recipient of Nobel Peace Prize Mohamed ElBaradei an Egyptian Muslim can be a role Model for all those who want to contribute towards peace and prosperity in the modern world." ↑ 'Nobel Lecture by Mohamed El-Baradei, Oslo, December 10, 2005. ', Nobel Foundation, retrieved April 5, 2012. "I am an Egyptian Muslim"
↑ "The Nobel Peace Prize 2006", Nobel Foundation, retrieved March 24, 2012. ↑ "Yunus martyred, Bangladesh marred" by 'Misha Hussain', Dawn.com,April 6, 2011, retrieved April 7, 2012. "a Bengali and a Muslim"
↑ "Muhammad Yunus Ways", 'Islamic Inspiration', published March 27, 2011, retrieved March 24, 2012. ↑ "Microcredit pioneer wins Nobel Peace Prize – and puts Episcopalian – and Anglican combatants to shame",The Questioning Christian, dated October 13, 2006, retrieved April 5, 2012. 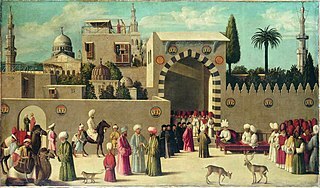 ↑ , Microfinance and Islamic Finance – A Perfect Match by Dr. Linda Eagle, accessed March 24, 2012. "A Muslim Bangladeshi economist and economics professor"
↑ "The Nobel Peace Prize 2011", Nobel Foundation,retrieved March 24, 2012. ↑ Democracy Now! article on Tawakel Karman, "Yemeni Activist Tawakkul Karman, First Female Arab Nobel Peace Laureate: A Nod for Arab Spring", dated October 7, 2011, retrieved March 21, 2012. ↑ "Tawakul Karman, Nobel Peace Prize Laureate, Talks the Talk and Walks the Walk" by 'Sahar Taman', The Huffington Post, published October 8, 2011, retrieved April 7, 2012. ↑ "In the name of God the Compassionate the Merciful",Nobel Lecture by Tawakkul Karman, Oslo, 10. December 2011, Nobel Foundation,retrieved April 5, 2012. ↑ "Archived copy". Archived from the original on 2012-07-15. Retrieved 2012-03-18. CS1 maint: Archived copy as title (link) "Tawakel Karman (The Nobel Peace Prize winner 2011) & Hijab" by 'Sarah Ahmed', dated December 12, 2011, retrieved March 21, 2012. "She is a co-recipient of the 2011 Nobel Peace Prize, becoming the first Yemeni, the first Arab woman, and the second Muslim woman to win a Nobel Prize and the youngest Nobel Peace Laureate to date." ↑ "Tawakkul Karman is the first arab woman and the youngest Nobel Peace Laureate in hijab", 'Haute Hijab', December 20, 2011, accessed March 21, 2012. "Tawakkul Karman, a Muslim, was the first Arab woman awarded the Nobel Peace Laureate"
↑ "Malala and Kailash Satyarthi win Nobel Peace Prize". BBC News. ↑ "Malala Yousafzai, Kailash Satyarthi win Nobel Peace Prize". Dawn. 14 October 2014. 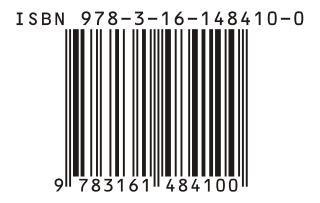 Retrieved 14 October 2014. ↑ "The Nobel Prize in Literature 1988", Nobel Foundation, retrieved March 24, 2012. ↑ 'Nobel Lecture by Naguib Mahfouz', Nobel Foundation,retrieved April 5, 2012. ↑ Archived 2012-06-09 at the Wayback Machine "Naguib Mahfouz's Socialistic Sufism: An Intellectual Journey from the Wafd to Islamic Mysticism", Yagi, Kumiko, Ph.D. Harvard University, 2001. 235 pages. Adviser: Graham, William A. Publication Number: AAT 3028463, accessed March 24, 2012. ↑ "Naguib Mahfouz – The Son of Two Civilizations" by 'Anders Hallengren', article on Naguib Mahfouz, Nobel Foundation, retrieved March 24, 2012. ↑ "The Nobel Prize in Literature 2006", Nobel Foundation, retrieved March 24, 2012. ↑ 'Orhan Pamuk-Autobiography', Nobel Foundation, retrieved April 5, 2012. ↑ "Orhan Pamuk, Nobel Laureate, in Conversation with Reza Aslan", Levantine Cultural Center, posted October 16, 2009, accessed March 21, 2012. ↑ "Orhan Pamuk: Incompatibility of Islam and Democracy Has Been Disproven", 'Islam Today', dated March 30, 2011, retrieved April 5, 2012. "Orhan Pamuk and the Turkish Paradox", Spiegel Online , dated December 21, 2005, retrieved March 21, 2012. "I consider myself a person who comes from a Muslim culture. In any case, I would not say that I'm an atheist. So I'm a Muslim who associates historical and cultural identification with this religion. I do not believe in a personal connection to God; that's where it gets transcendental. I identify with my culture, but I am happy to be living on a tolerant, intellectual island where I can deal with Dostoyevsky and Sartre, both great influences for me." ↑ “The Nobel Prize in Physics 1979”, Nobel Foundation, retrieved March 24, 2012. ↑ "Abdus Salam-Biography", Nobel Foundation, retrieved April 5, 2012. Primary Source:The biography was written by Miriam Lewis, now at IAEA, Vienna, who was at one time on the staff of ICTP (International Centre For Theoretical Physics, Trieste). ↑ Google Books, Ghani, Abdul (1982). Abdus Salam: a Nobel laureate from a Muslim country : a biographical sketch, Publisher-Maʻaref Printers, Karachi . pp. i–xi. ,retrieved April 8, 2012. 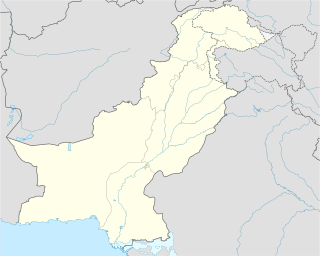 ↑ Government of Pakistan, (GoPAK). "Second Amendment". Ministry of Law and Justice. The Electronic Government of Pakistan. ↑ "Egyptian Chemist Zewail, Noble Prize-Winner, Dies at 70". The New York Times. Associated Press. 2 August 2016. Retrieved 9 August 2016. ↑ "The Nobel Prize in Chemistry 1999", Nobel Foundation, retrieved March 24, 2012. ↑ Muslim "Nobel Prize Winner Ahmed Hassan Zewail" by Bernie, 'Planck's constant', accessed March 24, 2012. ↑ Archived 2018-06-18 at the Wayback Machine Ahmed Zewail's caltech site. ↑ Science in the Islamic world: an interview with Nobel Laureate Ahmed Zewail, The Fountain Magazine , Issue 67, January–February 2009, retrieved March 21, 2012. "I'm very proud of the value system that I was given by my family and the way I grew up as a Muslim in Egypt." ↑ "The West and Islam need not be in conflict" by 'Ahmed Zewail', The Independent , October 24, 2006, retrieved April 11, 2012. "The author is the only Arab Muslim to receive the Nobel Prize in science, 1999"
↑ Mysticism in Contemporary Islamic Political Thought by John von Heyking, University of Lethbridge, Volume XIX, Nos. 1 and 2, 2006, Humanitas accessed April 5, 2012. ↑ New Literary History , Vol. 34, No. 1, Inquiries into ethics and narratives (Winter 2003), pp. 75–90, retrieved April 5, 2012. ↑ Sunday Book Review, The New York Times, By Leslie H. Gelb, published May 6, 2011, retrieved March 21, 2012. ↑ intellectual history of muslims, retrieved April 6, 2012. ↑ Orhan Pamuk and the Politics of Turkish Identity: From Islam to Istanbul [Paperback], retrieved April 5, 2012. ↑ “Cosmic Anger: Abdus Salam – The First Muslim Nobel Scientist” by Gordon Fraser, Oxford University Press, retrieved March 24, 2012. ↑ Yasser Arafat biography, retrieved April 6, 2012. 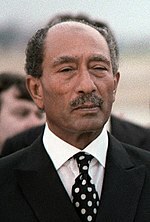 ↑ Anwar Sadat: Visionary Who Dared , retrieved April 6, 2012. ↑ Shirin Ebadi's autobiography, retrieved April 6, 2012. ↑ Ahmed Zewail, Autobiography, Nobel Foundation, retrieved April 5, 2012. 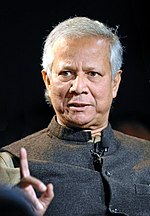 ↑ Autobiography of Muhammad Yunus , retrieved April 6, 2012. ↑ All Nobel Laureates, Nobel Foundation, retrieved April 6, 2012. Karman joins Shirin Ebadi, who won the Nobel Peace prize in 2003 for her work to bring equal rights to women in Iran, as the second Muslim woman to win the Nobel Peace prize.